To me, portraiture has always been the most fascinating window into a country. As a child, I loved looking at worldly faces in National Geographic. I am currently enamoured by several portrait photographers on Instagram who aim to capture the faces of a country through photography. The tip I hear over and over about getting the most authentic portraits is to engage with potential subjects. Usually, I'm quite shy to ask people to take their photo. However, my goal is to improve my portrait skills. So, I decided that this shyness is silly. 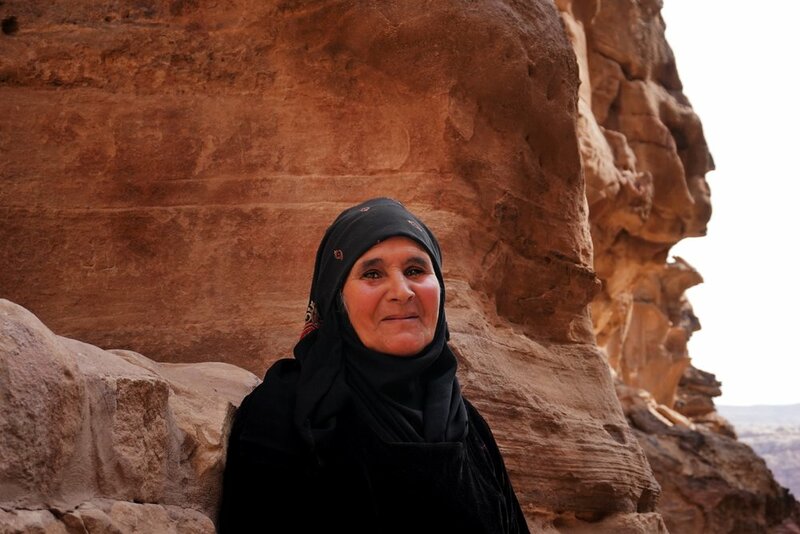 In Jordan, I ditched that attitude, struck up conversations with people (lens down) and then simply asked them for their photo. To my delight, 99% of people happily obliged and I got many Facebook and email connections to share their portraits with them later on. It brought me a lot of joy and made me feel closer to Jordan. Plus, I had some memorable interactions with the locals. Below, you can see my attempts. Some I'm proud of, and many have room for improvement. There are a few candids as well, though I tried my best to get nodding approval from the subject. To ensure that I got the results I was looking for (crisp clarity), I set my shutter speed very high and my aperture wide. My ISO was kept low in the sun, but higher in the gloomy city shots. I still don't have the confidence to have a stranger pose while I take multiple photos, so the high shutter speed and low aperture ensured that I could get a clear result in one or two tries. As for editing, I dropped in some shadow and highlighted some eyes, but not much more. 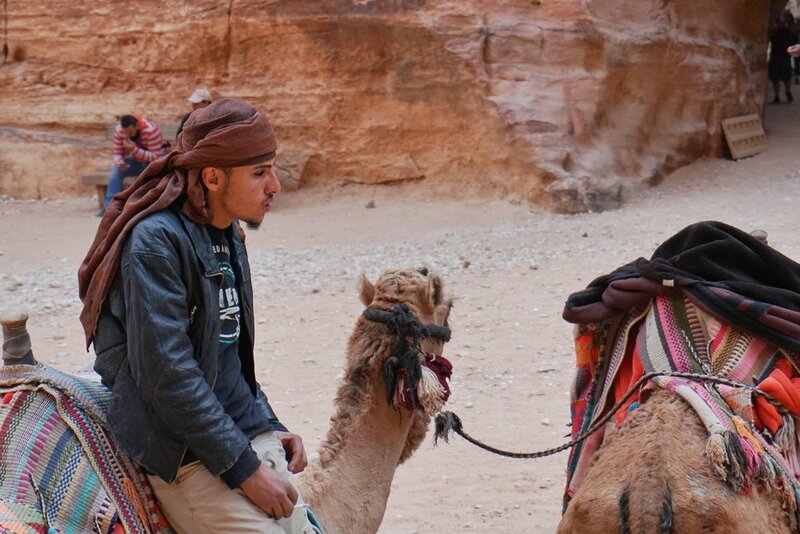 The warmth of Jordanians inspired me to keep up with my portraiture attempts.